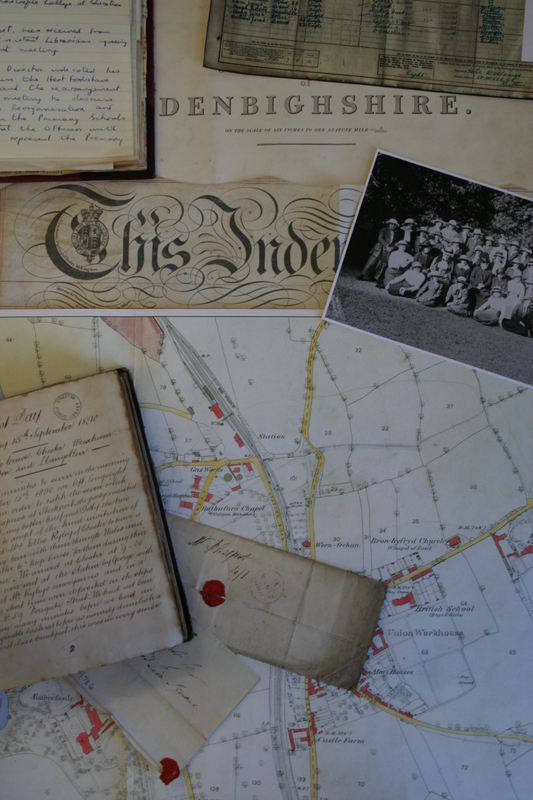 We are very pleased to announce that we now have an online patient index for the North Wales Hospital in Denbigh (1848-1914) which means for the first time, researchers can now search the collection by patient name. The index has been created using the surviving patient reception orders for pauper patients only. We hope to have a similar index for private patients available soon. The aim of this project was to create an alphabetical patient index for the North Wales Hospital (Denbigh Asylum) to enable researchers to search for patients online. Reception orders are bundled in chronological sequence and we have never before been able to search the collection by name. This database now allows us to search surviving records for patients admitted between 1848 and 1914 by name and easily identify if a patient had multiple admissions to the hospital. The patient index for the North Wales Hospital has been completed thanks to the work of dedicated volunteers listing the patient reception orders dated between 1848 and 1914. This project has taken two years to complete (2013-2014) and has involved over 15 volunteers looking at over 8000 records to create a database of basic information which include patient name, admission date, age on admission, date of discharge or death, occupation and union (i.e. the union paying for their treatment) or address in the case of private patients. Due to NHS rules, hospital records are closed to public inspection for 100 years. We plan to add to the database annually as records become available. We were aware that some reception orders were missing before the project began and can confirm that 228 out of 8373 records are missing from the series up to December 1914 (2.72%). It is unclear why these records did not get transferred to the archives; some may simply have been lost or the paperwork may have been transferred with the patient to other asylums across the country. The original reception order may not contain the information because it was not known at the time it was completed. For example, the patient themselves may not have known their exact ages, or the spelling of an unusual name may have been unclear. The original reception order may be illegible. For example in some cases it is difficult to differentiate between a number 3 and 5. Although care was taken to avoid any mistakes being made, there may inevitably be some mistakes such as typing or transcription errors. We would strongly recommend consulting the original record either by requesting a copy or visiting our searchroom to confirm that all details are correct. Search the index and find out more here. Staff at Denbighshire Archives are hosting an evening of talks about the history of the North Wales Hospital, Denbigh. 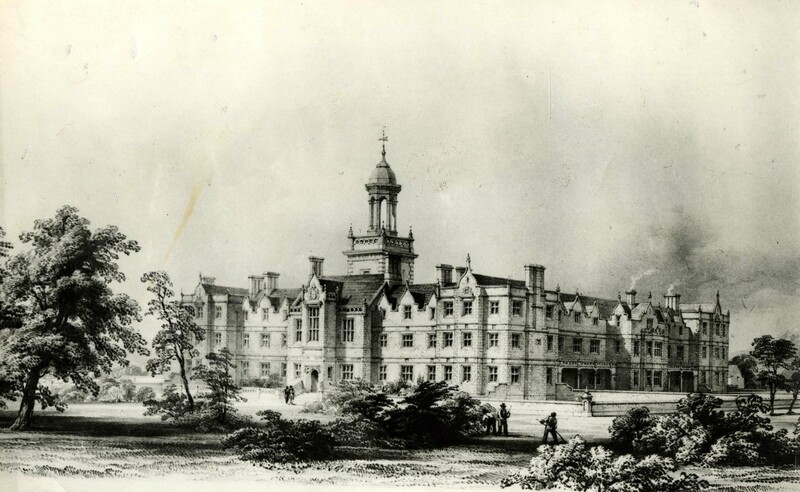 The main collection of records is held at the record office in Ruthin Gaol and is one of the best collections of nineteenth and twentieth century asylum records in the country, reflecting changes and development in treatments and attitudes towards of mental illness. Dr Pamela Michael, lecturer in Health Studies and Social Policy at Bangor University, will be talking about the history of the hospital with particular emphasis on the role of women as staff and patients. Her research interests are in Welsh women’s history, the history of social policy, and health and mental illness in Wales; she published a study on the care and treatment of the mentally ill in North Wales, 1800-2000 (University of Wales Press, Cardiff, 2003). Clwyd Wynne, a long standing member of staff at the North Wales Hospital, will be talking about life as a member of staff at the hospital and the work of The North Wales Hospital Historical Society in preserving the memories of ex-staff and patients of the hospital. Jane Brunning, the senior archivist will provide an over view of the records held at the archives, some of which will be on display.